This delicious MyCafe coffee is manufactured with carefully selected beans which are grown, harvested and processed to keep its unique flavour and aroma. 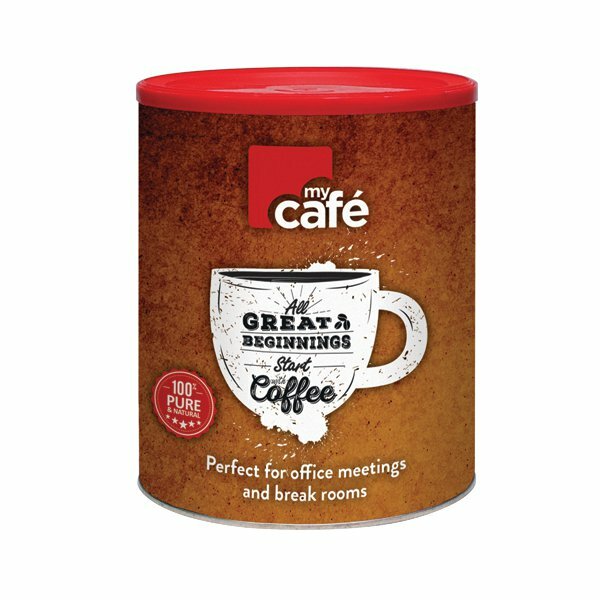 Perfect for office meetings, break rooms and shared kitchens, the coffee comes in a handy, resealable tin for lasting freshness. This pack contains one 750g tin.